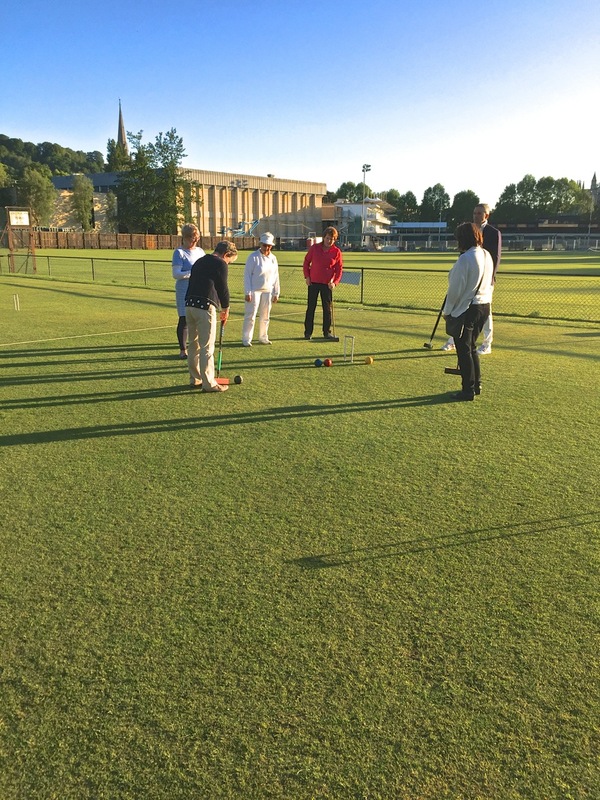 The evening of our June meeting blessed us with one of the few balmy summer nights of the year so far, making perfect conditions for the merry band of members who presented themselves at Bath Croquet Club. 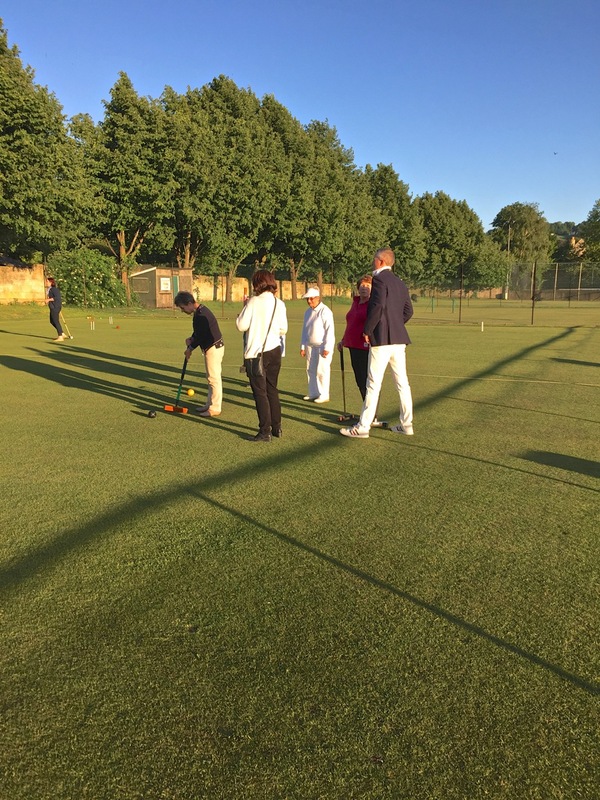 There was an excellent turn-out and, after a brief welcome and introduction from their Chairman, we were broken up into pairs and sent out onto the lawns. Their superb organisation had us competing straight away in ‘golf croquet’ matches where two pairs took on each other on a challenge over three hoops. The tactical wizardry required quickly became apparent and exposed elements of some players’ characters that we may never have seen before! The members guided us with patience and humour throughout and were the perfect advertisement for their sport. I’m sure there will be many of us interested in pursuing this new pastime and all BCC contact details are available on our website. The evening was thoroughly enjoyed by the WI visitors and a huge, heartfelt thank you goes to BCC for their hospitality. We very much look forward to a return visit in the not too distant future!